FAST FOOD CHAIN KFC has been forced to shut all three of its popular outlets on the island of Fiji – because it has run out of its signature breadcrumb mixture, and isn’t allowed to import any more. KFC says it hasn’t been able to import its milk, egg and salt mixture since last October due to new quarantine rules imposed by the Fijian government – and that it is now shutting up shop entirely, having completely exhausted its backup supplies. 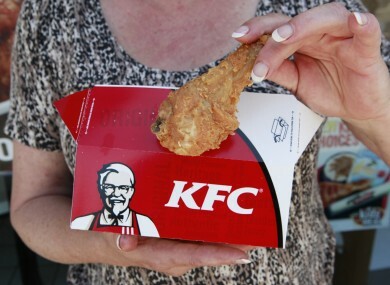 The government contests KFC’s claims, however, with a spokesman telling Radio New Zealand that the delay in the imports was due to KFC’s failure to officially declare that the imported products were free from disease. “KFC are a global fast-food chain with a very slick public relations machine, but at a local level I think their message is becoming a little confused,” biosecurity authority CEO Elvis Silvestrini said, according to Australia’s Associated Press. Silvestrini explained that KFC had changed suppliers last year, meaning it was required to produce a new certificate vouching for the safety of its products. To date, he added, it had not done so. The managers of the Fijian outlets told local news website Fijivillage they would make a full decision on the long-term future of the three restaurants within the next ten days. In June, a global Oxfam survey found that KFC had become the world’s favourite fast food chain – pushing longtime favourite McDonalds into second place. Email “KFC blames Fijian quarantine for shortage of signature breadcrumbs”. Feedback on “KFC blames Fijian quarantine for shortage of signature breadcrumbs”.